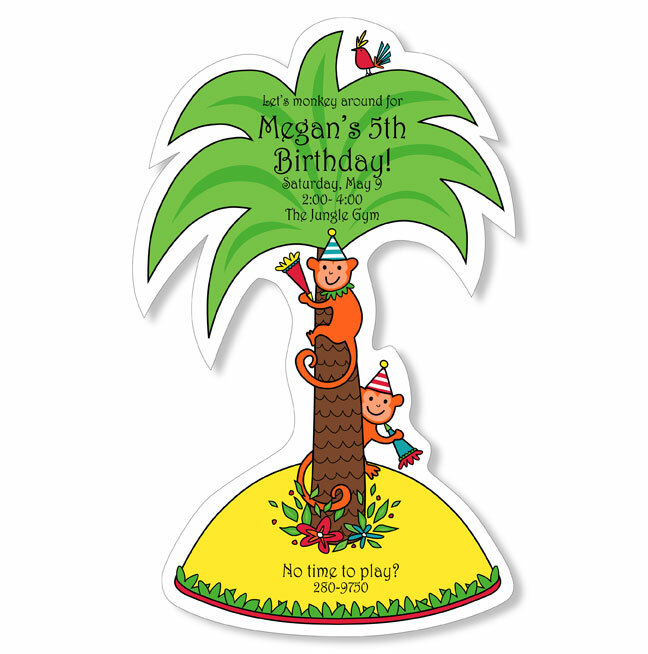 Cute monkey climbs a palm tree on a lone island...darling birthday party invitation for your lil' monkey! 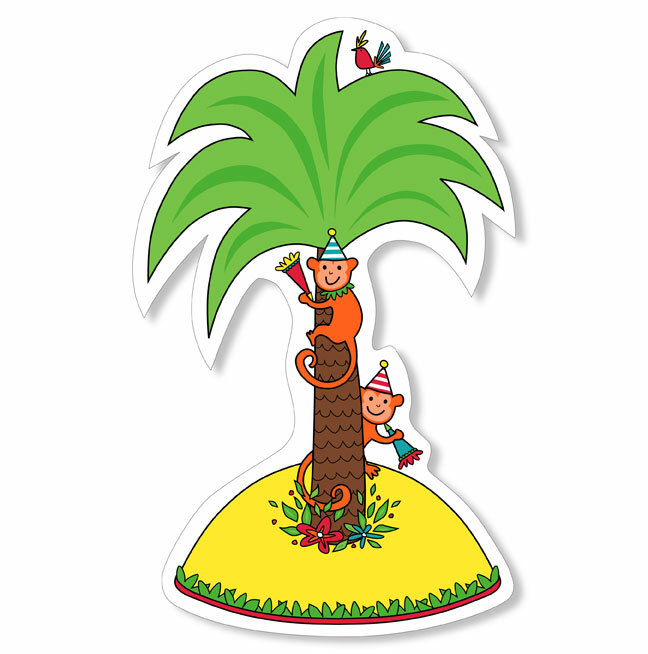 Simply punch out shape along micro-perfs after printing (customer assembly required). NOTE: Only 10 sets left! SIZE DIMENSIONS: ~5" x 8"